on-stove kettle, a brightly coloured milk pan and two measuring jugs. 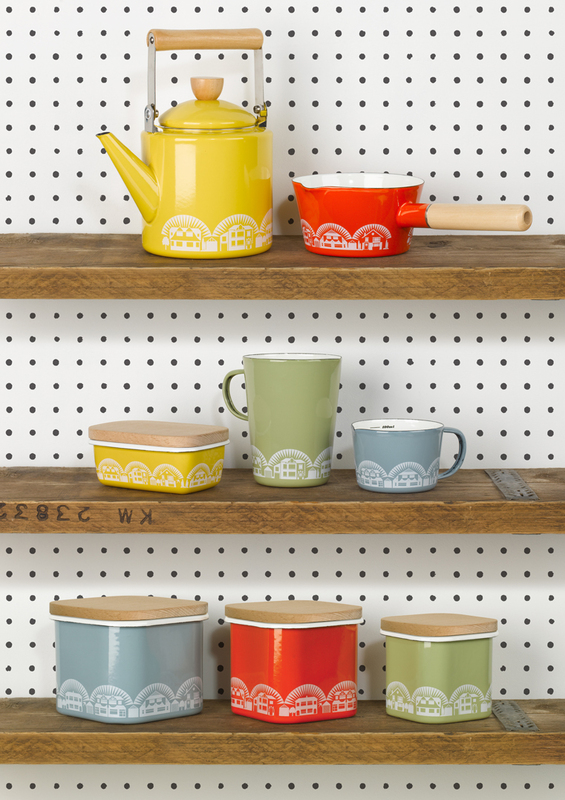 The range will soon also include a Chalkhill blue casserole dish and a set of 4 enamel mugs. All of the items feature the Mini Moderns signature colour palette and the suburban houses from our Paisley Crescent wallpaper.